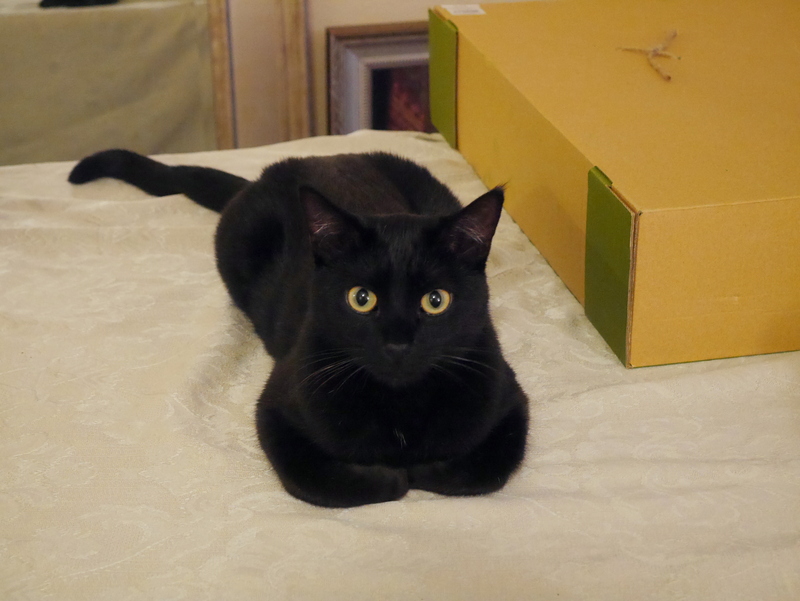 Pippin sitting on my parents’ dining room table. They do spoil him. This weekend, Gene and I went to my parents’ house to visit my dad (my mom is still in Texas). We saw the last Hobbit movie, played a new game, watched The Avengers, and went to Panera for lunch today. It’s weird to think that the Hobbit movies are done. Will Peter Jackson, or any other director for that matter, start making other Middle Earth movies at some point? Something outside of what Tolkein wrote? I wonder what JRR Tolkein’s estate would think of that. If it would even be approved. Anyways, I expected more of an ending to the movie than we got, but since I don’t remember how the book ended I can’t really complain that much. I think I need to reread The Hobbit one of these days. Although I vaguely remember trying to do just that and being really bored. Shrug. Maybe I’m different now. Still, I enjoyed the movie and there were some great scenes in there. The elves are so graceful and fluid, it’s fun to watch them even though some of the feats they accomplish just don’t make any physical sense. I really liked when the dwarf group was in their armor. Oh my gosh, they looked so fantastic. Why do dwarves not wear armor all the time?! 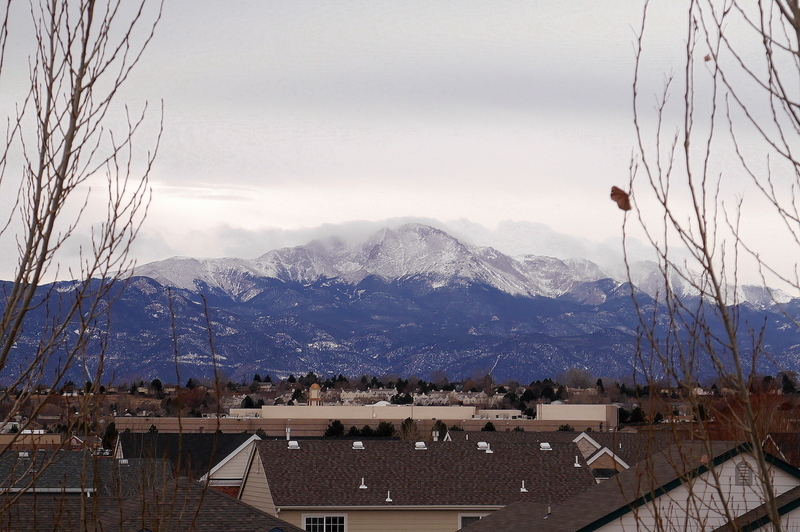 A view of Pike’s Peak from the kitchen window. How nice is that?! After the movie we went back to my dad’s house and visited for a bit before eating some delicious dinner and then playing a game Gene had bought when we were in Washington. It’s called Love Letter and it’s a simple card game that’s pretty fun. I actually ended up winning too! All the times that I’ve played it so far, the players are generally neck and neck to who will win. I like that in a game. We started watching The Avengers later Saturday evening but I got too tired so we stopped so I could go to bed. We finished it earlier today though. Such a good movie. I do enjoy watching it. Gene and Dad put together a side table and we moved some furniture around a bit too at some point. We went to Panera for lunch where I got some warm broccoli cheddar soup. We visited some more and eventually we had to go back home. Now I’m in my apartment, under a blanket, trying to figure out the plan for the week! It was a fun weekend that went by a little too quickly but that’s how good ones go, right? Until the next one!